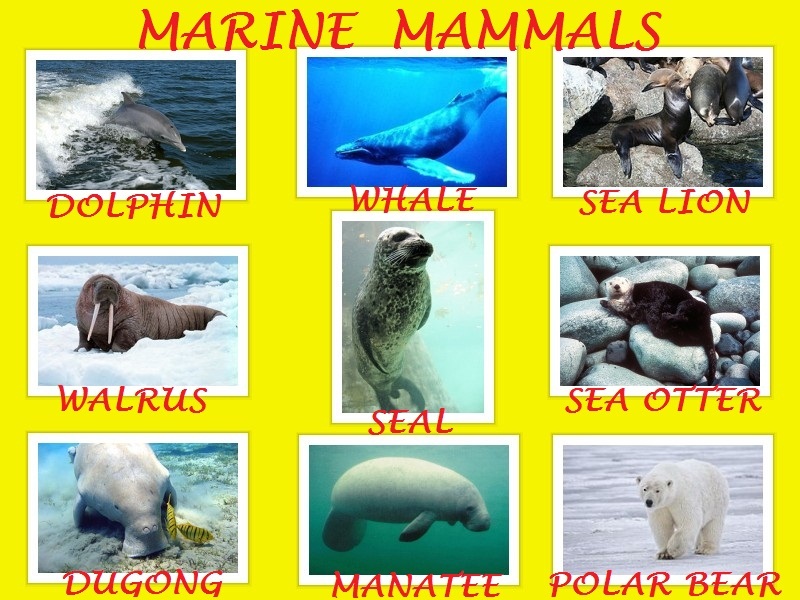 Marine mammals, like dolphins or whales, live in the sea. They have bare skin ant they swim using their fins. Marine mammals are excellent divers. 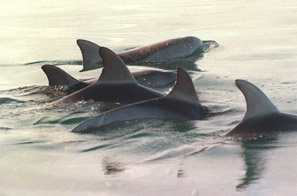 However, they need to come to the surface of the water to breathe in oxygen from the air.